WILSON - Mary Jane Schumacher Bullard, 93, went to our Lord on Saturday, December 1, 2018 after a brief illness. Funeral, Friday, 4:00 PM, First United Methodist Church, followed by a time of visiting and sharing in Asbury Hall. Mary Jane was born to U.S. Army Col. George Herbert and Mrs. Bernice Margaret Schumacher in the Panama Canal Zone. She grew up in Atlanta, Georgia and made her debut at the Piedmont Driving Club in Atlanta. She graduated from Agnes Scott College in Decatur, GA in 1946. She then moved to Northborough, MA, where her parents were living at the time. While working in Boston, she met and fell in love with Hoke Vogler Bullard, Jr. They married on September 6, 1952. In 1957 they moved to Wilson and raised a family. 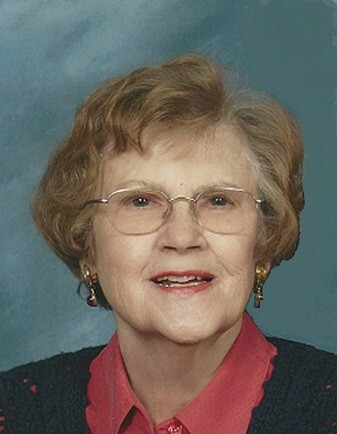 She spent many happy hours with her family, and at First United Methodist Church, the Round Table Book Club, Wilson Woman’s Club, Wilson Country Club and as a volunteer at Wilson Memorial Hospital. Left to cherish her memory are her husband, Dr. Hoke V. Bullard, Jr.; her children, Dr. Graham Bullard (Pam) of Cornelius, Ms. Margaret Hayden Bullard of Charlotte, Mr. Hoke “Doc” Bullard (Brigitte) of Chatham, NJ and Ms. Mary Jane Elllis (Jeff) of Raleigh and seven grandchildren. In lieu of flowers memorials are suggested to First United Methodist Church, PO Box 1423, Wilson, NC 27894-1423 or to the charity of one’s choice.